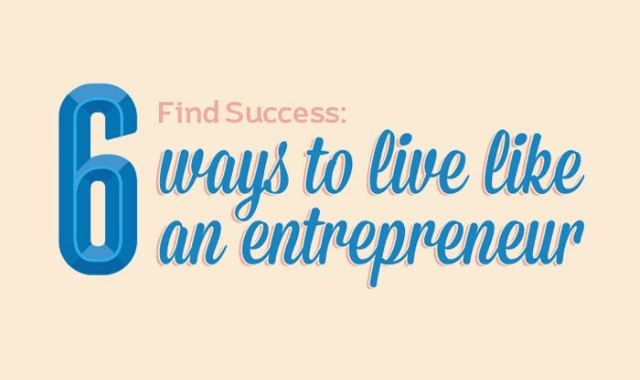 6 Ways to Live Like an Entrepreneur #Infographic ~ Visualistan '+g+"
Who hasn’t dreamt of starting their own business – that deep-within desire to pursue your passions, be your own boss! You make notes, start conversations with would-be partners, think up funky brand names…Until reality bites, and you step back, with the confession that you don’t have it in you to become an entrepreneur. The truth is, the world needs both types – entrepreneurs and job-workers. What you can do is instill the entrepreneurial spirit within you and your working team. This infographic highlights 6 entrepreneurial traits that are worth emulating, that will make a big difference, whatever your job.